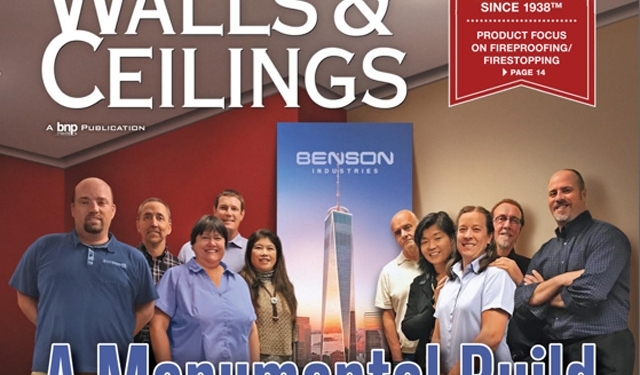 In 2013, Benson Industries was featured in a Building & Construction Northeast publication which highlights Benson as a leader in the curtainwall industry. 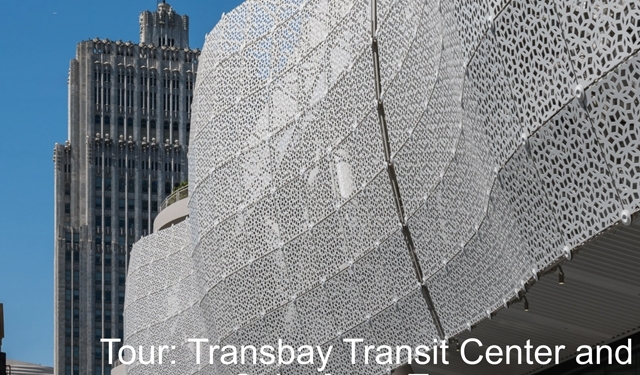 Take a tour of the Salesforce Tower and Transbay Transit Center through a series of images on Field Condition that highlight the work of Benson Industries. 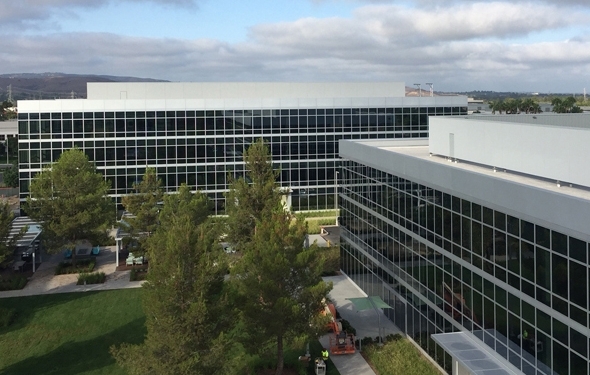 The Discovery Business Center is a 136-acre master-planned business park located in Irvine, California. The client Irvine Company is a real estate developer located in Orange County and in the Bay Area of San Francisco. 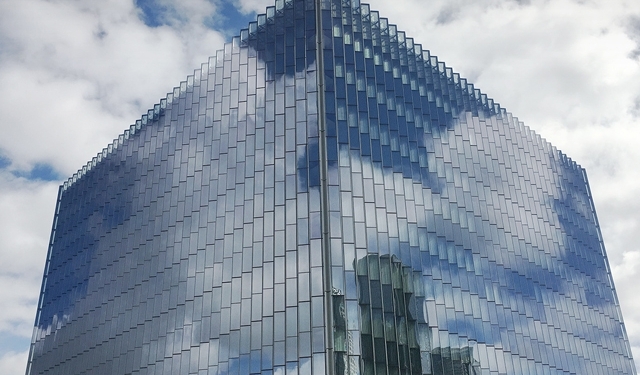 Skidmore, Owings & Merrill designed a glazed curtain wall with vertical pleats. The folds help reduce the amount of surface area that is exposed to the strongest and most direct sun rays. Guardian regional architectural manager east Leigh Anne Mays worked closely with Pelli Clarke Pelli Architects on the project. 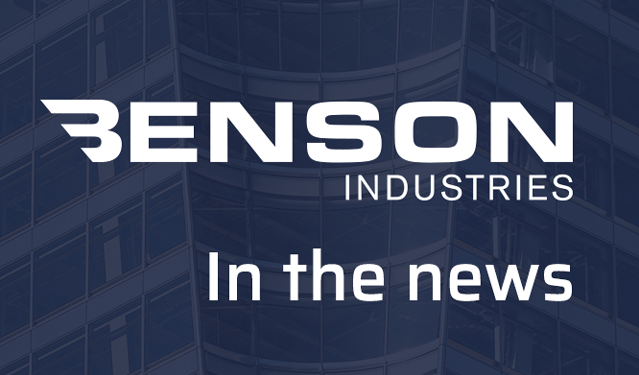 Benson Industries was the glazing contractor. One Manhattan West's soon-to-be tallest tower in the neighborhood will be 995 feet tall once complete and will offer 2.1 million square feet of office space. See process photos of the nearly completed Long Beach Civic Center in Long Beach, CA. 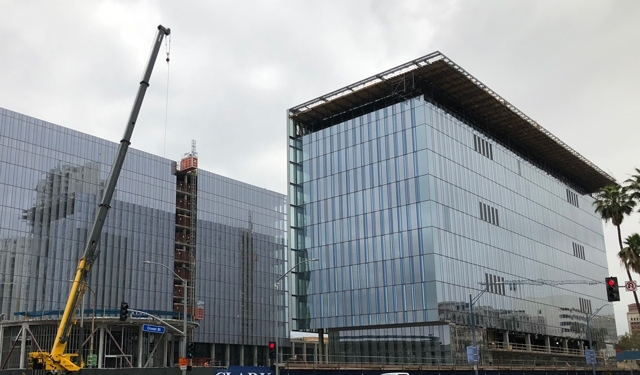 When completed it will include twin 11-story buildings that will be home to the Long Beach City Hall and the Port of Long Beach headquarters. 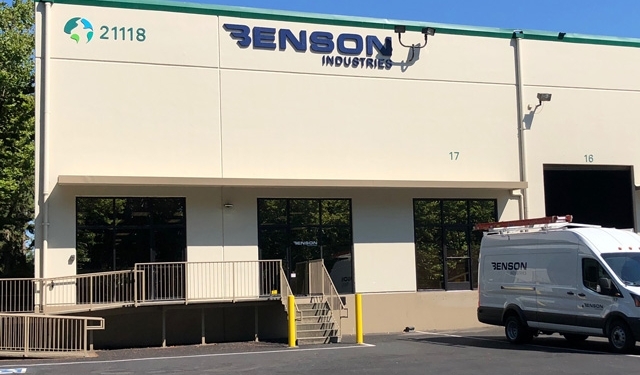 Benson Industries, Inc. has recently opened a new 35,000 square foot facility in Kent, Washington. 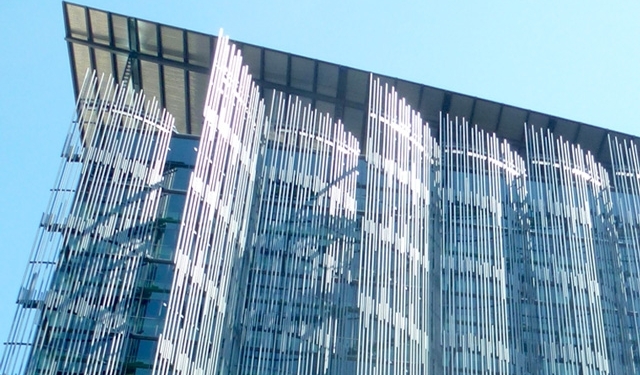 The in-depth article on the Edith Green-Wendell Wyatt Federal Building mentions the unitized glass curtainwall made of thermally improved aluminum extrusions and how the facade allows for solar heat gain. Rising from the corner of First and Mission Streets in San Francisco's South of Market or “SoMa” district is the city's tallest structure; the 326m (1,070 foot) Salesforce Tower. 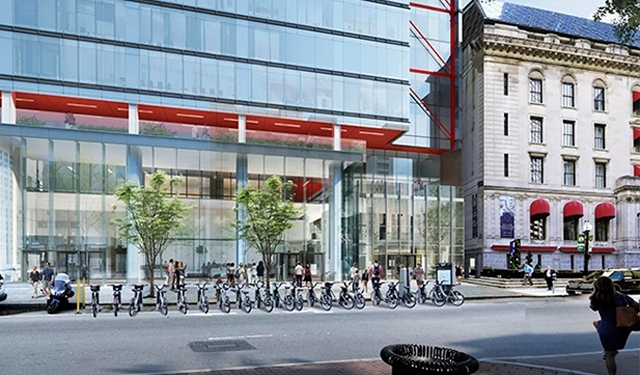 One Post Office Square is an ambitious building re-purposing with new curtainwall going onto both existing and new structure," added Jeffrey C. Heymann, Vice President of Business Development at Benson Industries. 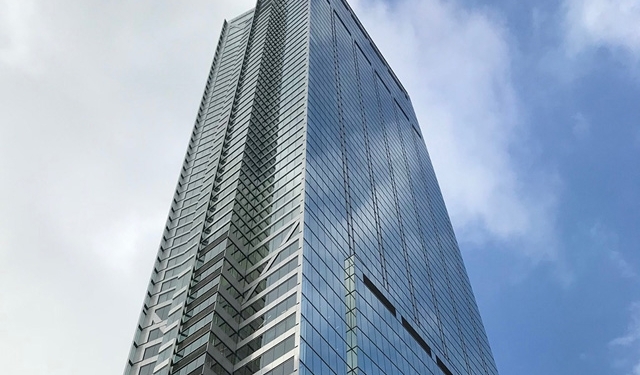 181 Fremont in San Francisco uses a viscous damper system that far exceeds California Code earthquake-performance objectives, allowing immediate reoccupation after a seismic event. 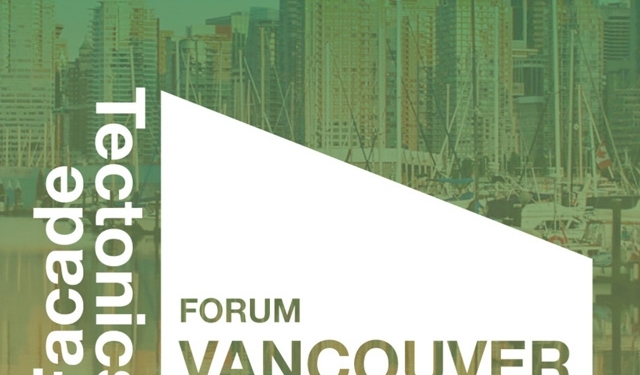 Benson Industries Jeff Heymann Vice President, Business Development will be speaking at the Facades Tectonics Forum in Vancouver. 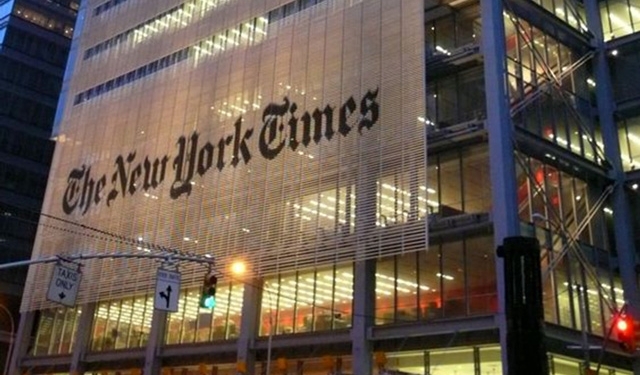 The Pelli Clarke Pelli Architects–designed project has officially earned the titles of the city’s tallest structure and the tallest office building west of the Mississippi. 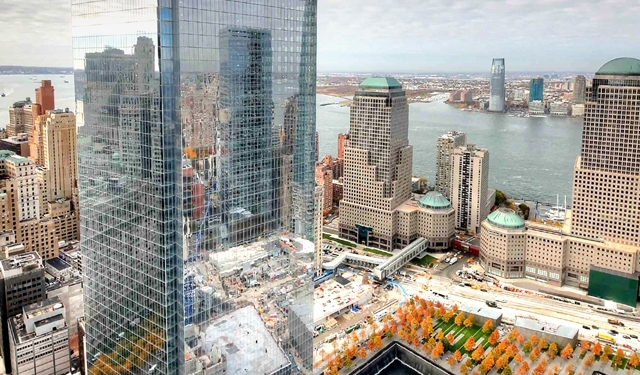 The planning, design, and construction that went into One World Trade Center was a monumental undertaking, with world-class workmanship throughout. 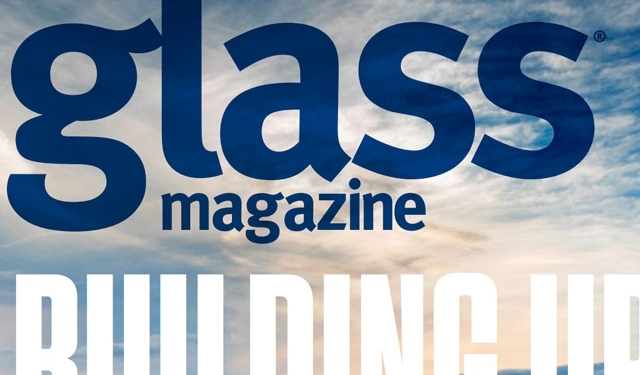 Benson Industries takes the #3 spot in Glass Magazine's 2018 Top 50 Glaziers Annual Report.